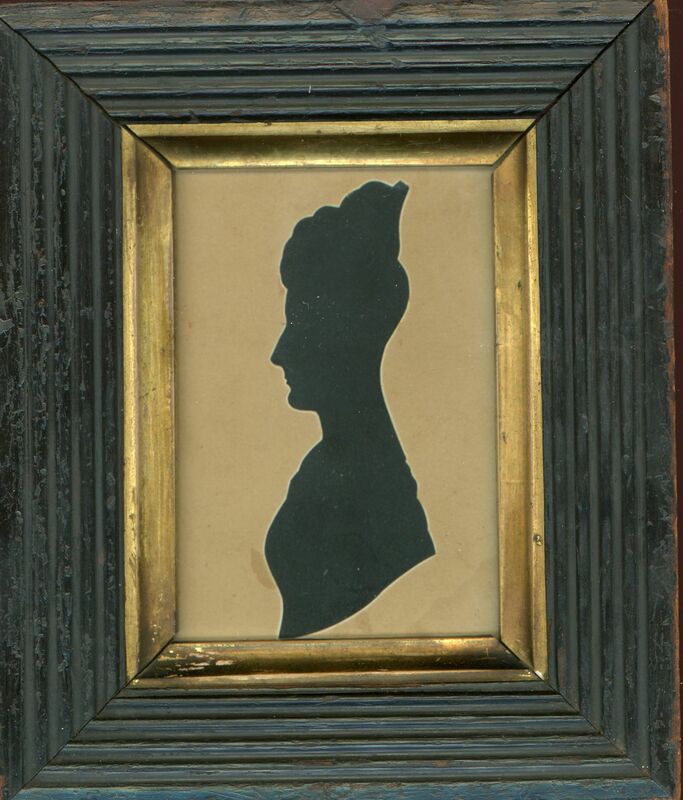 A small pair of head and shoulders cut silhouettes of an unnamed lady and a gentleman taken by the Hubard Gallery during the 1830s. 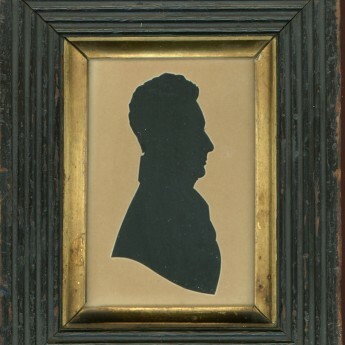 The gentleman has a high collar whilst the lady’s hair is upswept and secured with a large comb. 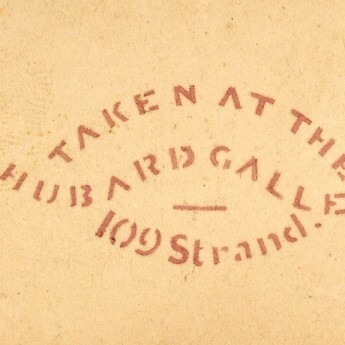 The reverse of one silhouette bears an unrecorded stencil stamp that reads ‘Taken at the Hubard Gallery 109 Strand’. The Gallery is known to have been based here during the 1830s. 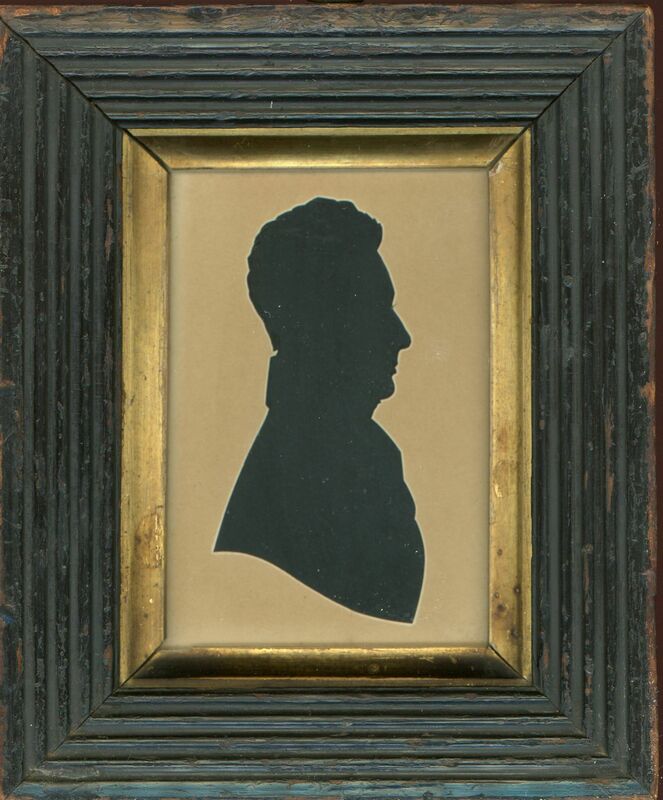 The profiles are housed in the original ebonised reeded frames with gilt slips. 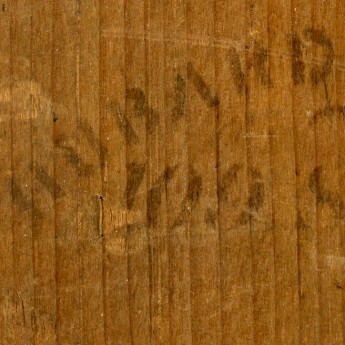 The backing boards of both frames bear differing stencil stamps for the Gallery. 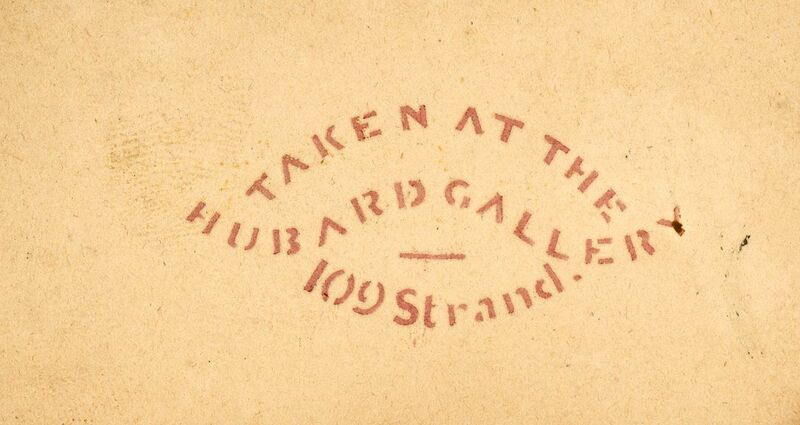 The Hubard Gallery was established in 1822 and toured extensively around the British Isles and the United States.